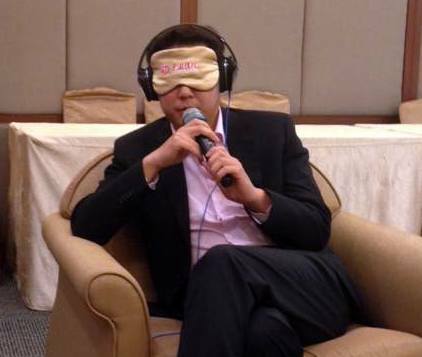 Bao Yun 6d of China has just set a new Guinness record for the most wins in a blindfold go simul, defeating five amateurs ranging from about 2d to EGF 6d in Guangzhou, China. The games lasted nearly 12 hours and the players could not resign until the game was at least 180 moves in. “It is an odd feature of the Guinness process that a resignation has to be defensible, lest players connive in earning the record,” reports AGA president Andy Okun, who was on hand to serve as a witness — along with EGF president Martin Stiassny and Malaysian Go Association president Tiong Kee Soon — to the attempt.